Cat o' Nine Tails? I'd rather have a Bag o' Ten Donuts, as the old pirate saying goes! 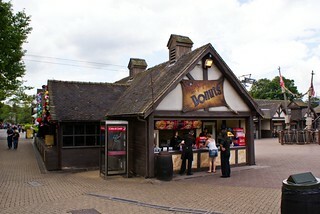 What theme park day out would be complete without a donut or five? Mutiny Bay Donuts offers them with a variety of sauces and additions, as well as serving soft drinks.